“My little baby Uzma had a high fever for 2 days. Her blood test shocked the doctors too. Her hemoglobin was just 3.8 . Within few days, her stomach got abnormally swollen and her limbs became very thin. Every day we could see her getting more sick. By the time the disease was diagnosed, her liver was already damaged. My baby is dying a slow death and I can't bear to see it." - Zakaria, Uzma’s father. Zakaria and Sumaiya were in cloud nine when Uzma was born. She had just learnt to speak. She was a healthy baby until January. 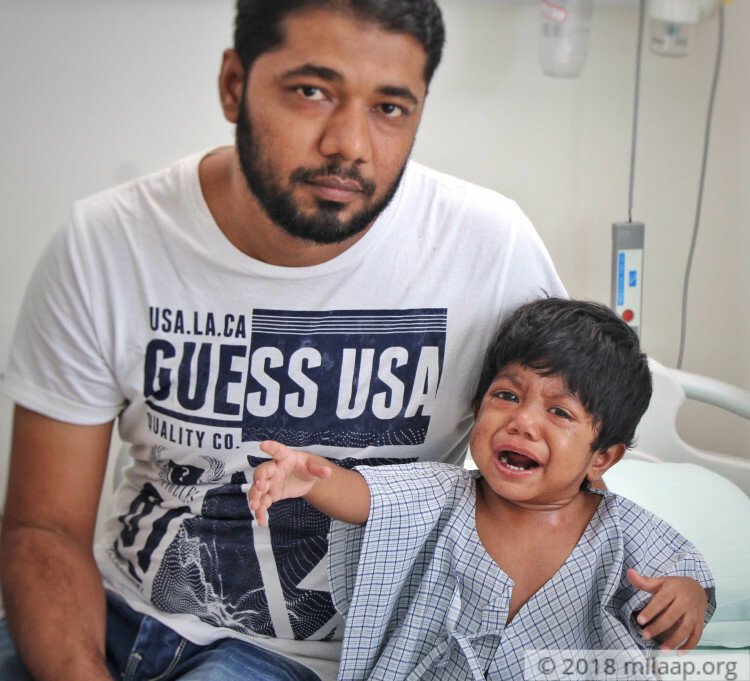 Little Uzma was diagnosed with a liver infection and a decompensated liver. Her body produces a high level of an enzyme called tyrosine which has affected her liver badly. Although the disease was living in her body since her birth, it took a long a time to show. Zakaria has to take his baby girl to the hospital every 15 days. He has a small xerox shop in Surat and has no one to help him at his work. Sometimes he can’t open his shop for days and he has incurred a huge loss. He manages to earn Rs 10,000 a month. Besides, his baby’s treatment, Zakaria has to take care of his old parents. 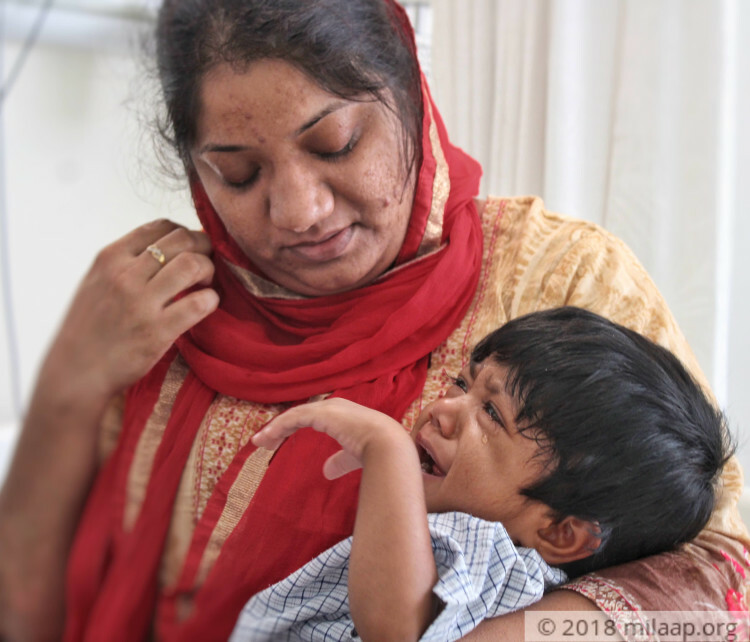 Uzma’s condition demands constant medical care which costs him a lot. 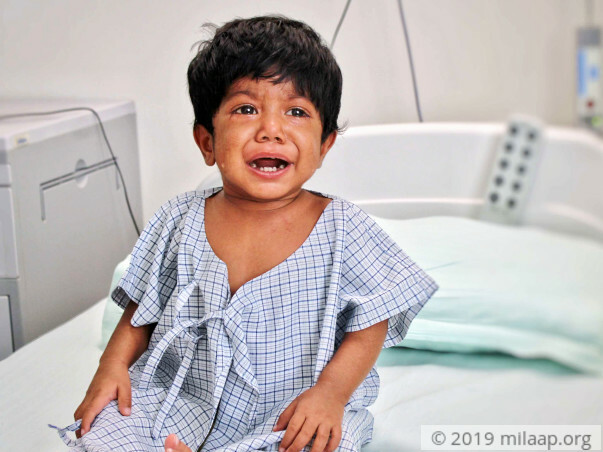 Little Uzma has a dreadful liver disease. 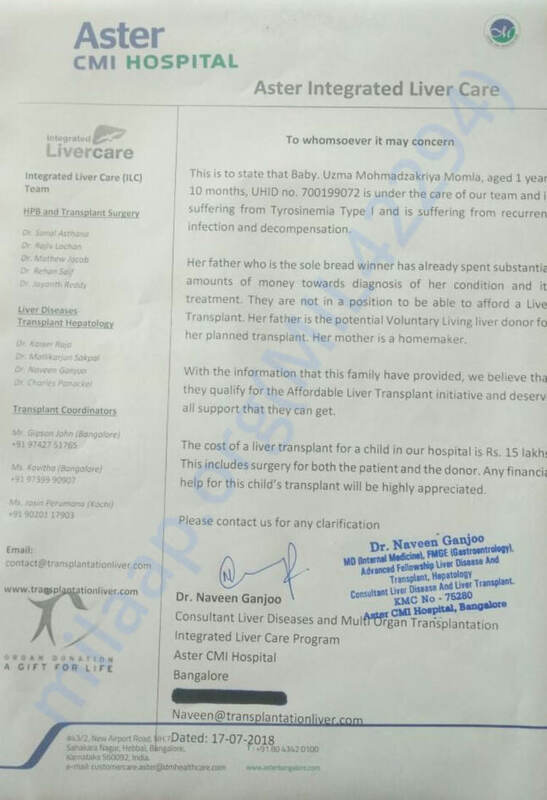 She needs an urgent liver transplant. Her father Zakaria is a matching donor. He has already spent Rs 4 lakhs for the treatment. He barely had any savings and had to borrow from his relatives. 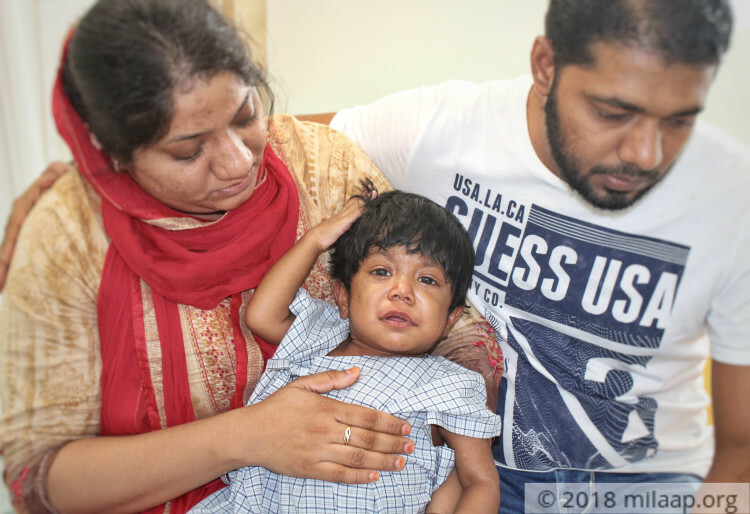 The cost of the transplant is Rs 15 lakhs and Zakaria has nothing left to save her. Her parents can't watch her die. Time is running out for Uzma. 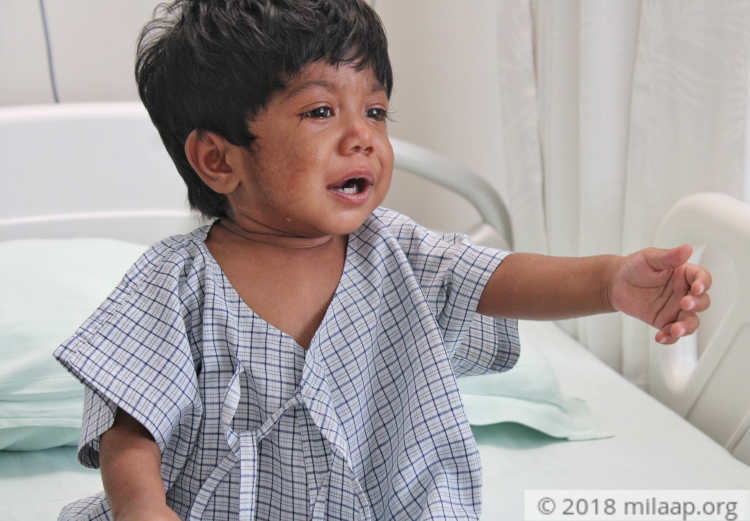 With our support, this 1-year-old can be saved.